The September 2017 Freight Numbers are in, and they are up! 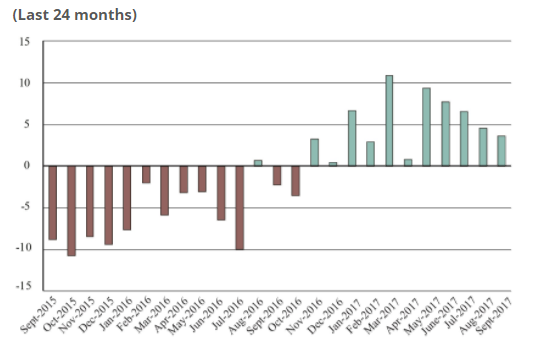 For the 11th consecutive month in 2017, there is a rise in the value of current dollars from the same month in 2016. September 2017 has an increased value of 3.6 percent from September 2016. 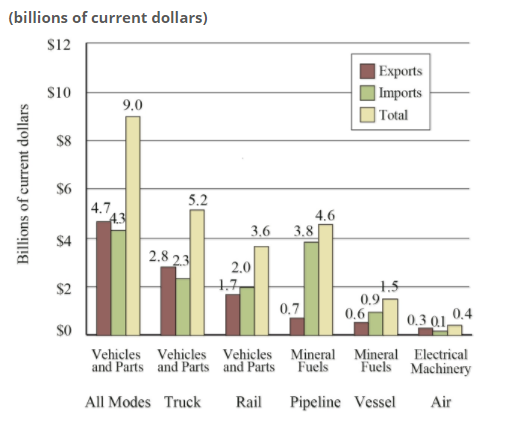 U.S.-NAFTA freight totaled $94.4 billion as three out of five major transportation modes carried more freight by value with North American Free Trade Agreement (NAFTA), and its partners Canada, and Mexico. The value of commodities moving by vessel increased 28.6 percent, pipeline by 9.1 percent, and truck by 2.9 percent. Rail decreased by 3.3 percent and air decreased by 3.4 percent. The large percentage increase in the value of goods moving by vessel is due in part to an increase in the unit value and a 6.1 percent increase in the volume of mineral fuels traded. In September 2017, the top commodity category transported between the U.S. and Canada was vehicles and parts, of which $5.2 billion, or 57.1 percent, moved by truck and $3.6 billion, or 40.3 percent by rail. 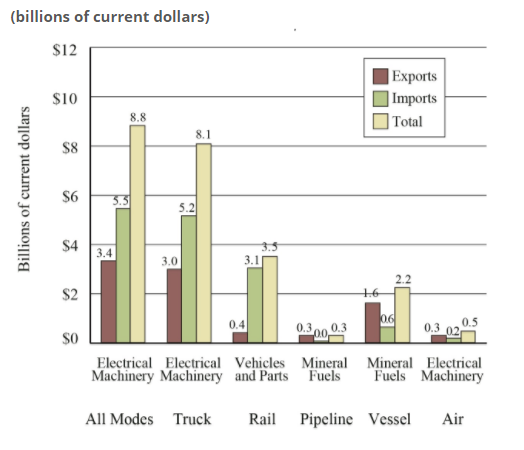 The top commodity category transported between the U.S. and Mexico in September 2017 was electrical machinery, of which $8.1 billion, or 92.0 percent, moved by truck and $0.5 billion, or 5.5 percent, moved by air. 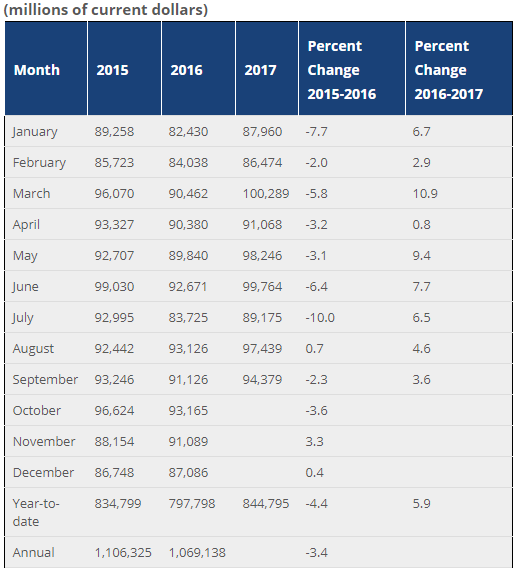 *Numbers estimated by Bureau of Transportation Statistics, TransBorder Freight Data.